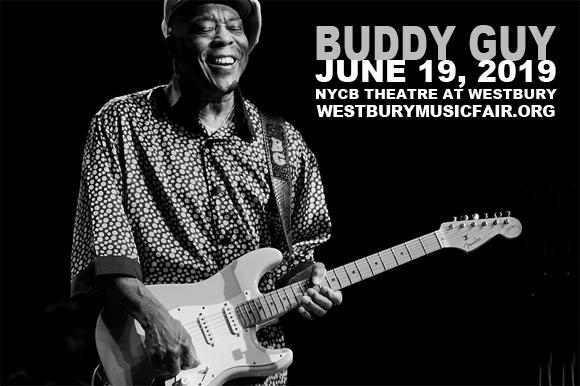 Returning to captivate NYCB Theatre at Westbury once more on Wednesday 19th June 2019, blues legend Buddy Guy teams up with the Kenny Wayne Shepherd Band for a night of stellar entertainment! Serving up songs to move the soul and the feet, these two incredible performers concoct a heady gumbo of traditional blues, jazz and rock 'n' roll that permeates the air! Come get your fill – tickets available now! After beginning his career in Baton Rouge in the 1950s, legendary blues guitarist and singer Buddy Guy moved to Chicago, where he got his big break working with Muddy Waters as a house guitarist at Chess Records, and soon struck up a partnership with harmonica player Junior Wells with whom he collaborated throughout the 1960s. Releasing a string of popular albums from the '60s through the '80s, when Guy began to develop a cult rock and roll following including Jimi Hendrix, Eric Clapton (Clapton has described him as "the best guitar player alive"), Jimmy Page, Keith Richards, Jeff Beck, John Mayer and Stevie Ray Vaughan, his career enjoyed another boost in the 1990s with three Grammy Award-winning albums: Damn Right, I've Got the Blues (1991), Feels Like Rain (1993) and Slippin' In (1994). Throughout his career, Guy has earned several awards and accolades, including 23 W.C. Handy Awards, Billboard magazine's Century Award (he was its second recipient) for distinguished artistic achievement, the title of Greatest Living Electric Blues Guitarist, and seven Grammy Awards. In 2003, Guy was presented with the National Medal of Arts, which is awarded by the President of the United States to "those who have made extraordinary contributions to the creation, growth and support of the arts in the United States." Two years later, he was inducted into the Rock and Roll Hall of Fame by Eric Clapton and B.B. King, and he is also an inductee of the Louisiana Music Hall of Fame and the Musicians Hall of Fame and Museum. He was awarded the Kennedy Center Honors in 2012.